﻿ Department of Shipping and Transportation Management. 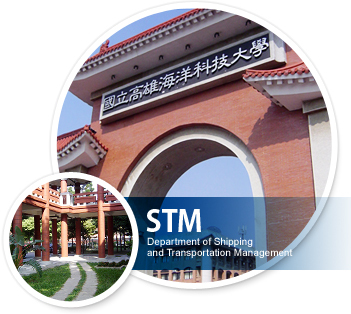 Department of Shipping and Transportation Management. There are three programs in the department, including: Undergraduate Program, Graduate Program and EMBA program. Currently, about 700 students enrolled in this department. The mission of the department is to develop the student's professional skills with an emphasis on shipping and logistic management to transportation industry. Over 90% of our professors possess a Ph.D. This may ensure high quality instruction in teachings. and Business English. For graduate, the trainings include Research methods, Ocean Transportation Management, Air Transportation Management, International Logistics and Port Economics. The EMBA program is a specialized program within the department. It offers an opportunity for business employees to learn more advance management knowledge related to the shipping industry. The students currently enrolled in the EMBA program have very diversified backgrounds, ocean carriers, air cargo carriers, forwarders, customs, Kaohsiung port, distribution centers, land transportation and import/export departments of manufactures, etc. The department has built up long term relationships with various successful Taiwanese businesses. Students have the opportunity to participate in a co-operative education program with these businesses in order to enrich their learning. If the student's perform well in these companies, there is potential for employment upon completion of the program. The main employment paths of our graduate students include: Shipping Companies, Shipping Agents, Shipping Forwarders, International Logistics, Industry Insurance Companies, Express Transportation Companies, and Container Businesses. Further, students also have opportunities to enter Marine and Custom's Public department by admission examinations. In addition, upon completion of the undergraduate program, students are encouraged to continue their study into the graduate program to further develop their skills.